In a policy shift, the civil aviation ministry is considering giving foreign airlines traffic rights to key destinations in India through auction as one of the ways. The Union government may put limited seats on auction so that foreign players are able to fly more seats on a few destinations where seat entitlement reaches the limit. However, the prevailing practice of government-to-government negotiation will also continue to exist as Indian carriers would require traffic rights abroad and those would have to be negotiated. "The foreign carriers will bid on the number of seats they require additionally to fly to various destinations in the country. However, there will be a clear provision stating that the government may bypass the auction route and give it to countries on negotiation basis separately for trade and negotiation purposes," said a source close to the development. Sources said the proposal may become a part of the draft civil aviation policy which will be released soon for public comments by the Union government. This was also discussed at a meeting chaired by the Union Cabinet secretary recently to discuss the draft policy. The meeting was attended by secretaries of various ministries such as civil aviation, finance, commerce and external affairs. After coming to power in May last year, the National Democratic Alliance (NDA) government has held e-auction of coal mines cancelled by Supreme Court judgement last year in August. The government also auctioned imported gas through online portal for gas-based power plants reeling under fuel shortage. Civil Aviation Secretary R N Choubey, the erstwhile special secretary at power ministry, was instrumental in this exercise. The ministry of mines would also auction mineral mines on the lines of coal auctions soon. India will become the first country to take the auction route to distribute foreign air traffic rights. However, this may be restricted to countries which are within 5,000 km or seven hours of flying time away from India. The auction model will be followed for airlines of countries from the Gulf region, Middle East and South East Asia. This is because the Union government may open up the skies by allowing airlines of a country 5,000 km or seven hours of flying time away to operate any number of flights to India. The 'open sky' policy will help countries from Europe, Australia, Africa, South America, among others, to operate flights to and from India without any restriction on the number of flights and seats. At present, countries sign an air service agreement through which they decide the flights or seats per week that can fly into each other's country depending upon the market requirements. Then, the government distributes the allocated seats to the respective airlines. However, other countries and also some foreign carriers have requested the Indian government to increase the seat entitlement as they exhaust the limit. According to the Chicago Convention, countries have and may exercise complete sovereignty over their airspace. Accordingly, countries set their own rules for air traffic rights which may be open skies bilateral or a bilateral agreement with regulated entitlements. The Union civil aviation ministry is mulling taking the auction route to make available seats on Metro destinations such as Delhi, Mumbai, Kolkata, Chennai, Hyderabad and Bengaluru to foreign carriers so that more passengers fly in and out of the country. Choubey didn't reply to a text message. A civil aviation spokesperson didn't want to comment on the issue. "We are evaluating several options on bilateral air traffic rights. A final call will be taken once the draft aviation policy is released," said a ministry official. This comes at a time when the Union government has raised concerns over the unutilised bilateral capacity by domestic carriers at a meeting held with the domestic carriers. On international routes, Indian carriers utilised only 32 per cent of the slotted capacity in 2014 whereas the foreign carriers are able to utilise almost double - 62 per cent of the total seats allotted to them. During 2014-15, Indian carriers used seat entitlement only in 29 out of the 109 countries with which an air service agreement has been signed. Moreover, foreign carriers offer 432,456 seats a week for passengers flying in and out of India compared to 242,365 seats offered by the Indian carriers. Sector experts said this situation of foreign carriers utilising more seats than Indian peers in a bilateral agreement is hurting the aviation sector. "Protectionism in the skies helps none. It gives a false sense of security to domestic carriers and makes them weak. It creates artificial supply constraints that only lead to high ticket prices during peak summer and winter seasons. The blue collar Indian workers in the Gulf suffer the most," said Amber Dubey, partner and India head of aerospace and defence at global consultancy KPMG. He said the Union government should consider declaring open skies in India to boost tourism and the aviation sector. Union Civil Aviation Minister Ashok Gajapathi Raju recently said the airlines had an "agreement" on unutilised bilateral. He said if rules permit, the airlines will have no objection in transferring the unutilised air traffic right to other domestic peers. Raju had also raised the issue of Indians living abroad finding it tough to fly back to the country during festive season due to high ticket pricing. 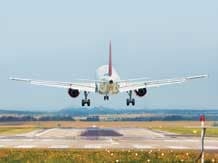 The move to liberalise foreign air traffic rights may irk the incumbent airlines which have been opposing any move towards opening up the sector to even new carriers - Vistara and AirAsia India. In India, airlines need five years of domestic flying experience and 20 aircraft in its fleet to fly abroad - the rule known as '5/20'. The Union government had planned to relax the rule which could have helped expedite utilisation of traffic rights but this was strongly opposed by the incumbent airlines like IndiGo, Jet Airways, SpiceJet and Air India. While Jet Airways and Air India fly to long-haul destinations, the other carriers go short-haul. "The irony is stark. We conveniently block foreign carriers using quota restrictions. The Indian quota lies largely unutilised since our leading carriers have no plans currently to fly long-haul to US, EU, Far East and Australia - that's like asking sprinters to run long distance. New Indian startups like AirAsia India and Vistara that can provide long haul services are blocked under the ridiculous 5/20 rule. This Mexican standoff has only resulted in Indian tourism losing out to other smaller destinations despite an unlimited potential," Dubey added. India has an 'open sky' policy for United States, meaning there is no restriction on the number of flights or seats on the India-US routes. India also has a 'near open sky' agreement with UK and there is restriction on frequencies only on flights to and from Mumbai and Delhi airports. India also has 'open sky' policy for more than a dozen tourist destinations in Asean or Saarc countries. According to CAPA India Bilateral Policy Report released last year, the international traffic to and from India has registered a strong 11.3 per cent annual growth over the last decade. CAPA's estimates project UAE carriers are seeking an additional 60,000 weekly seats in the short- to medium-term to support increased frequencies.